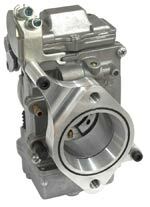 Precision machined bore, tapers from Mikuni outlet diameter to S&S manifold inlet size. 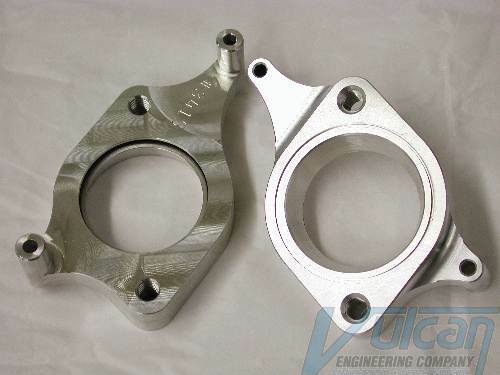 Substantial flow increase using S&S's larger plenum intake manifold. 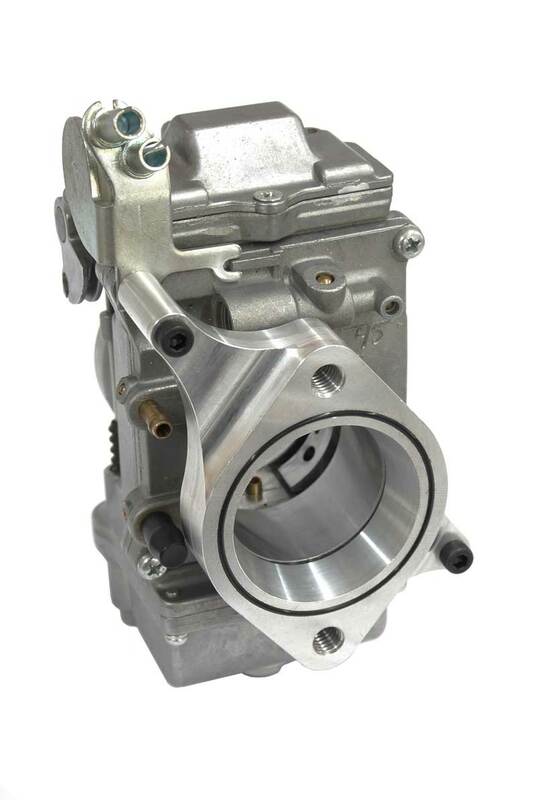 Ideal for stroker & big bore motors that require odd length intake manifolds. S&S manifolds are available for all length cylinders. Includes O-Rings & metric hardware.